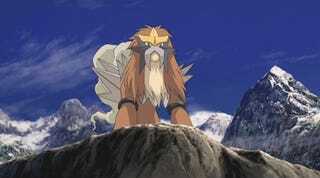 Legendary Entei - Part 2! Pokemon One a Day, Series 2! Starting with yesterday’s piece, I had all intentions to continue along my preliminary sketches of the trio. After I released the work last night however, I saw that maybe it wouldn’t work...and I can talk about it tomorrow when I post those WIPs with whatever the final piece is. 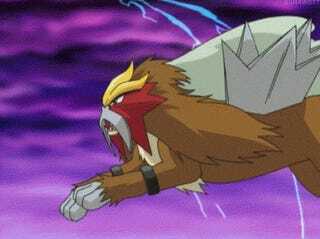 But for now, I focused on finding a flow with the beasts and how Entei could jump into the mix which will of course also affect how Suicune is placed. Working on Raikou yesterday, it was a concious decision to pose him as such to fit the others, and the same can be said about Entei. Throughout working, what largely changed my original composition was the circular color wheel, which to me help unify a vision and keep the beasts coordinated. That said, the spontaneous nature of deciding how to proceed has been largely exciting and keeps things fresh for me. It’s a lot of trial and error which isn’t seen in these shots that are whittled down to by the end of the day. 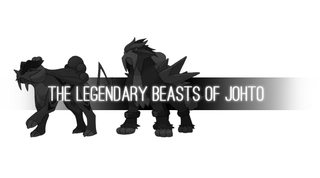 In the case of what did work, I kept the colors from yesterday which a few picked up on (it wasn’t exactly a secret to begin with) that represented the beasts themselves, and possible placement for them. However, I felt that things overall looked too soft, and I wanted some ferocity to the piece so I added more prominent lines and a more visible force to the distribution of the colors to give some oomph to the elements. One thing that’s even more prevalent is the use of a paper texture background, which sort of lends the characters to appear more inky...But maybe not quite yet to what I have in mind. We’ll see how the dynamic adapts tomorrow with Suicune, my personal favorite of the three! So that’ll do it for today! These works surprisingly take up a lot of my time, despite working on one at a time for the most part..I guess the weight of the decision is what keeps me in check so things really have to be worked over before I submit to finalize. Ok gang...See you tomorrow!